All students borrowing in the Federal Direct Loan Program for the first time at LMC (regardless of previous borrowing elsewhere) must complete entrance loan counseling and a Master Promissory Note(MPN). Both are available online at http://studentloans.gov. Be sure you complete all steps. Notification will be sent electronically to LMC. 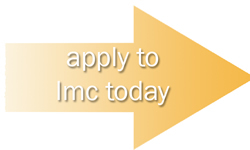 Loan funds for the first time borrowers will not be processed until LMC receives the electronic certification that both the entrance loan counseling and MPN have been completed. All entering first time students borrowing for the first time at LMC must wait 30 days before loan funds can be credited to student accounts. All students that have sufficient loan funds can receive a bookstore credit (to purchase books & supplies) from the Business Office up to the amount that does not exceed the credit that would be applied after the student loan. The student account will be debited the amount advanced In the event the student is not enrolled when the loan funds should have been received, the student would owe the advance to LMC.